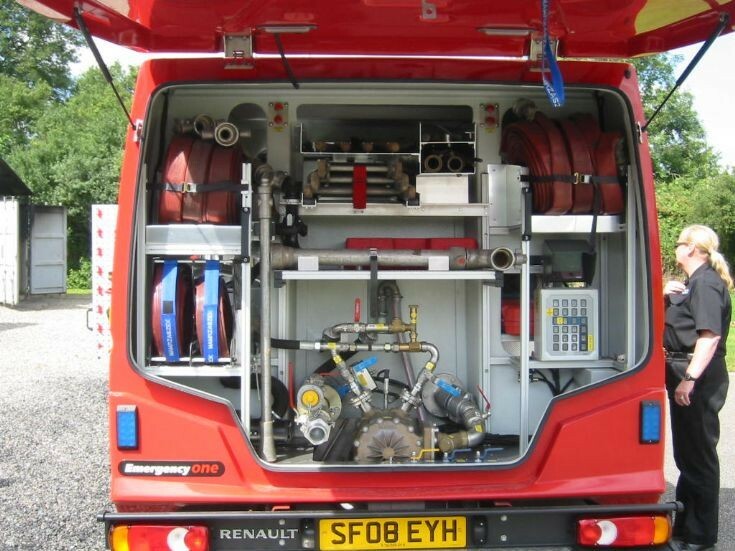 Renault Mascott small fire appliance on trial with North Yorkshire fire and rescue.Rear view of appliance showing delivery hose and triple extension ladder at the top. Also see picture #18563. Many thanks Paul, it would be a simple job to put a suction eye on this. Added by John Stott on 06 August 2009. The only good thing about this is the back door, it will keep the pump operator nice and dry.....and stop the kids hitching a ride !!!!! Added by Barrie Green on 06 August 2009.